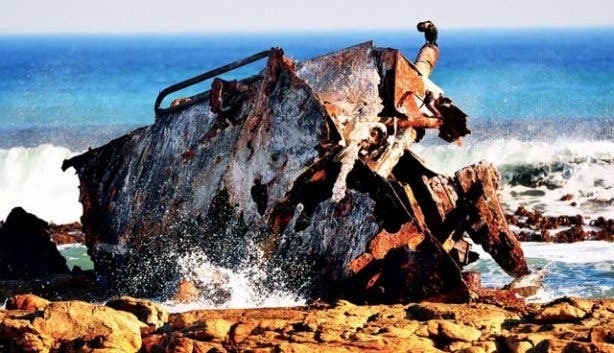 Dutch born, J.K Van Der Luit, clearly remembers the day the Nolloth, his family’s coaster, was shipwrecked at Cape Point. “In 1963, we left Cape Town for Durban in stormy weather. We sailed painfully slow. At 1am or 2am that morning we started shipping water; and after about an hour the bilge pump gave up. Within two hours, we had taken on two metres of water. The vessel was very sluggish and we all went to the wheelhouse where, miraculously, and with the engine still running, my father was able to steer the vessel clear of the coast. This, now rusty, piece of family history can still be seen partially submerged beneath the sand along the shipwreck trail at Olifantsbos. As we pull up in the Olifantsbos parking lot at Cape Point a herd of bontebok are grazing on the outskirts of the beach. There isn’t a tour bus in sight, and it’s wonderfully quiet. 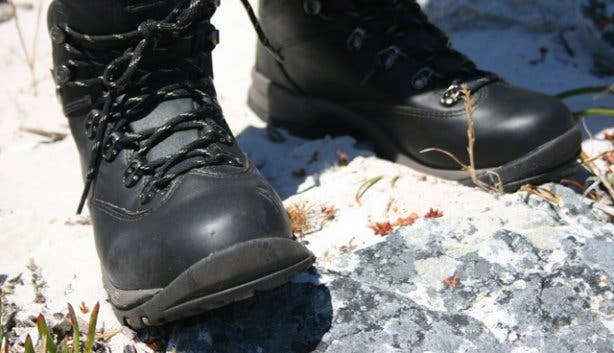 I’m wearing my V-Lite Altitude Ultra Luxe WPi Hi-Tecs which do a great job of keeping the sand out, plus they keep me stable on the rocks. A map. Pick up a pamphlet at the Buffesfontein Visitors Centre. Written by volunteers, they’re a wealth of knowledge and will set you back just R3. Hat and sunblock. You’ll need to bring your own shade for this walk along the beach. Hiking shoes. For the rocky bits and path to the beach. Water. Make sure you bring enough to keep you hydrated. Camera. Cape Point has some of the most dramatic landscapes which makes for interesting photos. Children from age 10 and up. Warm top. It’s not called the Cape of Storms for nothing; the wind can be icy even when the sun is shining. Don’t bring food with you, plan your picnic before or afterwards: there are sometimes baboons on this route, and they will be attracted to the food. There are three routes that start and end at Olifantsbos which vary in length so you can choose between them depending on how much time you have and how energetic you’re feeling. Once you’re in the Cape Point Nature Reserve look out for the Olifantsbos turn off on the right. This will take you through the reserve and down to the beach where there’s a parking lot. 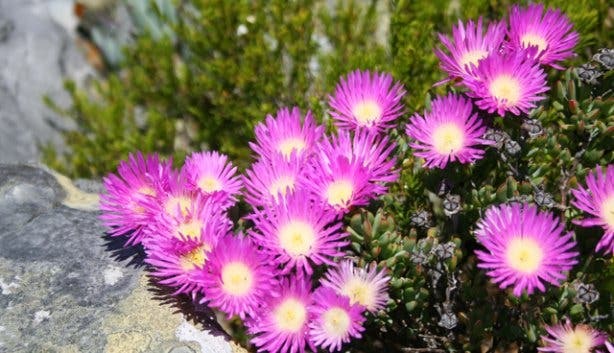 You’ll get to enjoy the fynbos and occasional animal along the drive. 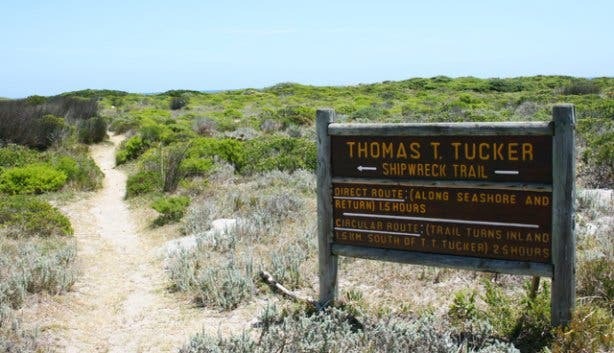 Look out for the Thomas T. Tucker sign on the left if you’re facing the sea, this is the start of all three routes. 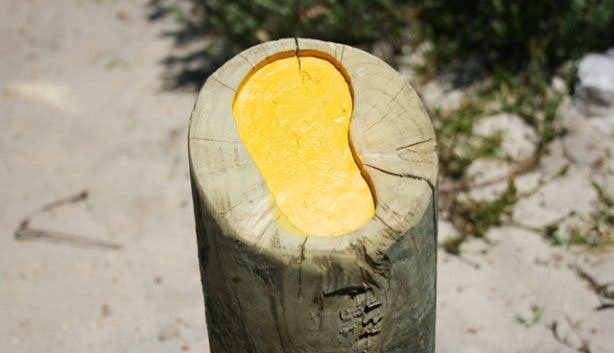 Follow the yellow tipped markers along the path down to the beach. 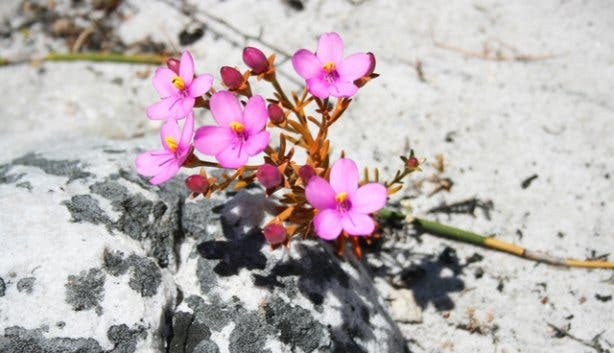 You’ll leave the path through the fynbos behind as you clamber over a rocky section which will lead you to the beach. There’s plenty of interesting sea life in the rock pools at the water’s edge. 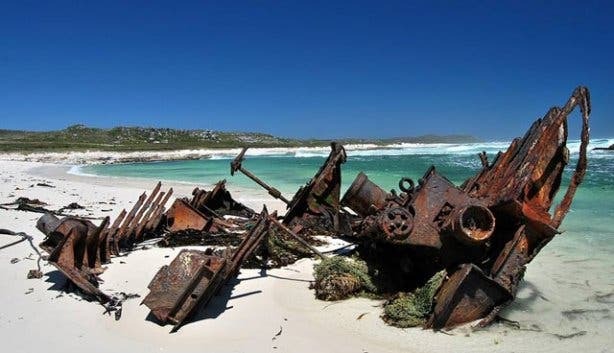 Continue on along the beach until you see the remains of the Thomas T. Tucker – an American ‘Liberty Ship’ that struck the rocks while avoiding torpedoes in a night attack in 1942 (don’t worry, everyone on board survived). You can stop here for a break before returning the way you came or continuing on to see the Nolloth and following one of the circular routes back. Duration: This 3km route will take about an hour and a half. 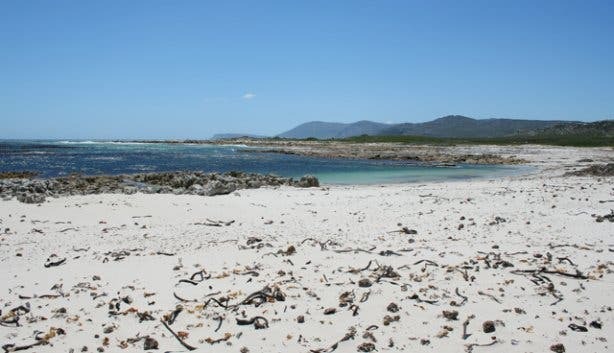 Carry on past the Nolloth shipwreck and up to the inland ridge. The path will lead back towards the Olifantsbos parking lot, go past the sign that turns off to Sirkelsvlei and keep going towards Staavia Edge. Duration: This 5km route will take up to two and a half hours. Sirkelsvlei is the largest body of fresh water in the area and is thought to be fed by underground springs. You can reach this route by following the path near the boom gate at the top of the road from the parking lot. You can choose which way to start out with when the path splits, the path on the sea side will take you along Staavia Edge and then around to Sirkelsvlei and then on to a rock shaped like an arch before leading back to Olifantsbos. Duration: This 6.5 km circuit will take about three hours and 45 minutes. 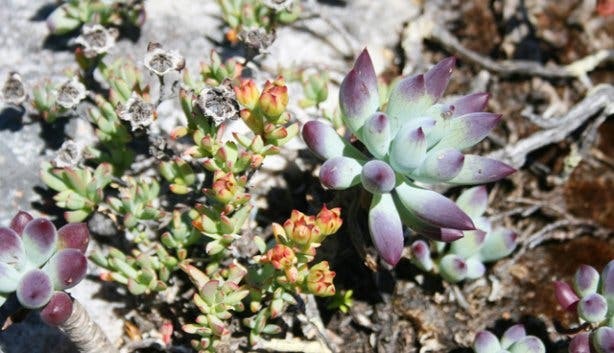 Flora: The large stretches of open plains at Cape Point are home to over 1200 species of indigenous plants so there is plenty for plant lovers to discover. We stopped to admire the fields of white everlasting flowers (also known as Cape snow and sewejaartjie), they were covering the area looking very much like snow and filling the air with their rustling in the wind. 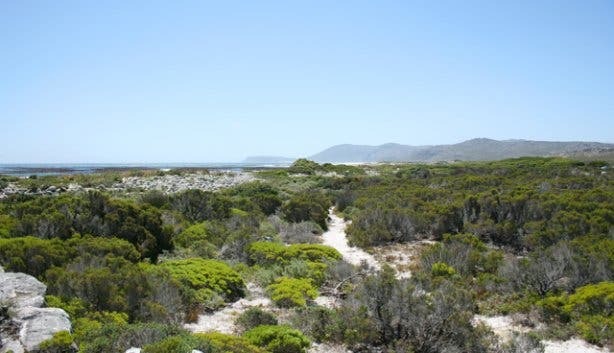 Fauna: We spotted ostriches, dassies, bontebok and snakes as well as a troop of chacma baboons who were foraging on the beach. There is plenty of birdlife in the reserve too. It’s great being able to walk freely in the reserve with the chance of spotting so much wildlife. You can also spot Cape mountain zebra, eland, Cape grysbok, red hartebeest and many others. 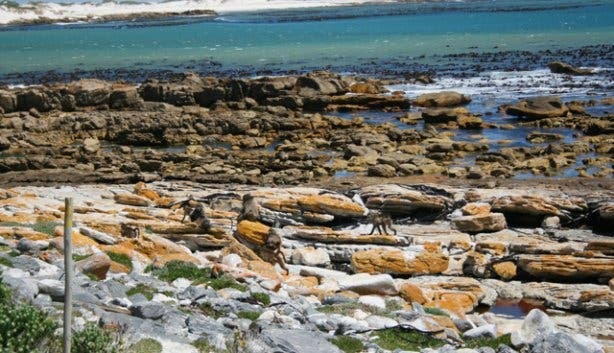 Trivia: This is the only place in Africa where the chacma baboons are protected. The herds of bontebok we spotted are the rarest antelope in the world and closely escaped extinction in the early 1900s. Have a look at our Facebook album of the route and follow us on Twitter to find out where (and what) we’ll be hiking next. Plus, subscribe to our weekly newsletter for a seven day weather forecast.